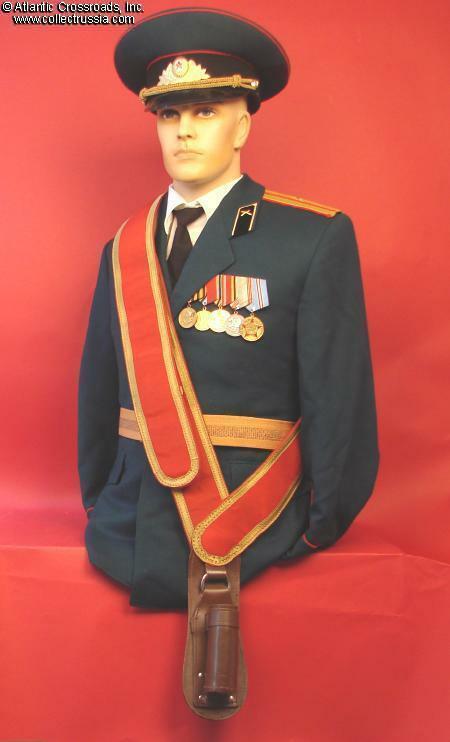 Military Flag or Standard Bearer's Sash and Harness, dated 1989. 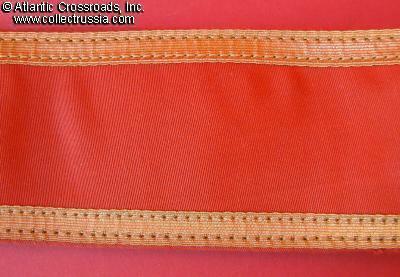 Military Flag or Standard Bearer's Sash and Harness, dated 1989. 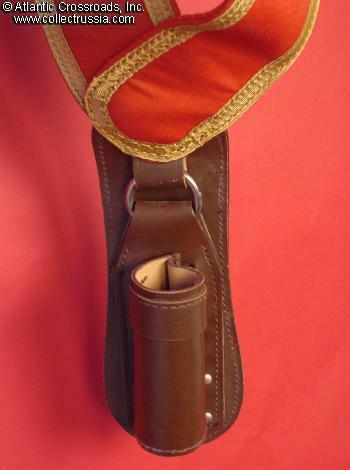 Complete set consisting of the sash in reinforced red cloth with gold tress border, leather nest for the end of the flagpole, and internal leather strap with buckle. 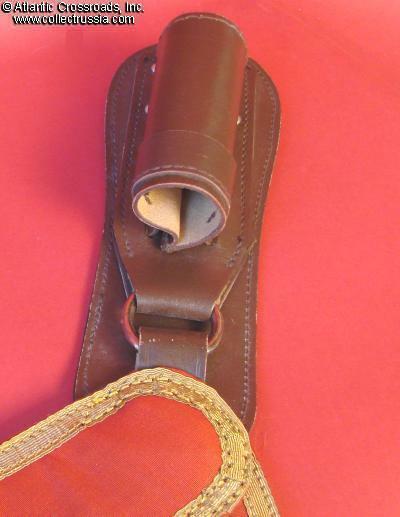 The strap shows manufacturer stamp with the 1989 date. Excellent condition. 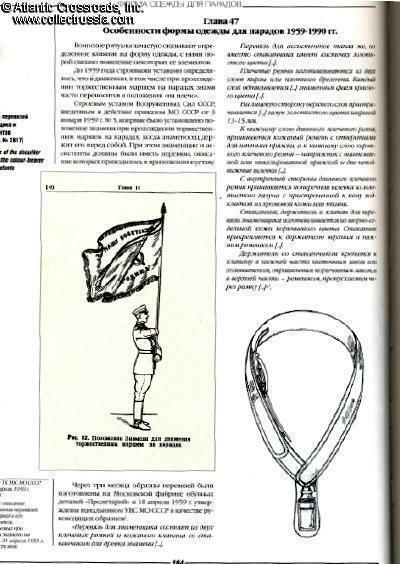 The most unusual and scarce item from the times of the military parades on the Red Square.